This month I’m going back to my roots for this blog by focusing on finding everyday delights for my 365 project and I’m using my usual Weekend Coffee Share slot to share these photos as I don’t really have much to share this week. But you can still grab a cup of your favourite hot brew and join me. “Be observant” is one of my Happiness Resolutions, so I’m looking to find something every day that makes me stop, notice and perhaps pause for thought: a great piece of design, a quirky object, something that I might be grateful for, something wondrous, something mundane. I’m also dabbling in some vintage style post-processing – its been so long since I ‘played‘ like this and I need it! If you’d like to join me, please do – the more the merrier! Post a photo, or a story and a photo – it’s up to you. I’d really love to have you along for the journey. Use the tag #EverydayDelights, pop a link to your post in the comments or create a pingback to this post. Here’s my first week of everyday delights. There are also a few hidden square shots in here for Becky’s Square September with an “In the Pink” theme. I have no idea what this plant is, but I liked the shapes of the buds. I also did a little bit of editing with backgrounds on this one to indulge my love of playing with photos. I spotted this neglected fountain in the back garden of a local restaurant. Looks like it hasn’t functioned for years. My most consistent everyday delight – writing Morning Pages, I started writing these in December last year. These are the A4 books I use for my morning pages – I’ve already filled 4! The fifth and newest one is at the top of the pile. Heaven’s knows how many I will fill if I continue doing this! My watercolour pencils are just asking to be used, which I did over the weekend – nothing special, just colouring in one of those adult colouring books. Butterflies move so fast but if you wait long enough, they will settle again. Catching one on ‘film’ (for want of a better word! ), unblurred and in focus is an everyday delight for me! The first for Becky’s Square September. A colleague bought me a bunch of proteas for my birthday. I do love doing close-ups of them because they have strong patterns and gorgeous colours. I didn’t have to go far to find today’s everyday delight. The second for Becky’s Square September. This photo was not part of my main everyday delights theme, but for the 52-week challenge which I have done on and off this year. 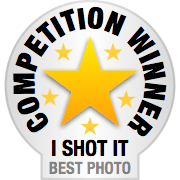 In its 3rd year, the challenge is conceptualised and hosted by Dogwood Photography and has been created by photographers with the idea of pushing themselves further in their photographic journey. Each week they cycle through 5 categories (Vision, Composition, Technical, Creative and Wild Card) and provide a prompt to work from. This week was a Vision category (designed to push you to go beyond sight, to insight; to take inspiration and make it a reality. Vision exists in your imagination and is revealed your photographs; expressing something otherwise invisible. Developing a Vision for your work is showing others what you see in your mind’s eye) and the prompt was Ordinary‘ (Find beauty in the ordinary). Well, that was a gauntlet if ever I saw one! That’s what this blog is all about. So I chose this wall as my photo – I’m a sucker for peeling paint and loved the patterns the cracks made here. What’s your favourite from this week’s selection? Perhaps you could share one of your favourite photos from this week? Hey Becky, thanks for reading and commenting so quickly. You must have so many to get to! I really appreciate it.